The Canadian Cadet Program is staffed by Canadian Forces Reserve Personnel and dedicated Civilian Volunteers. The Cadet Instructors Cadre (CIC) Officers are dedicated members of our community who work with youth in their spare time by providing them with a dynamic and structured program. The CIC consists of approximately 7,800 commissioned officers whose primary duty is the safety, supervision, administration and training of over 52,000 cadets. CIC officers are members of the Canadian Armed Forces and belong to the Cadet Organization’s Administration and Training Service (COATS). This sub-component of the Reserve Force consists of officers and non-commissioned members who, by the terms of their enrolment or transfer, have undertaken as their primary duty the safety, supervision, administration and training of Cadets or Junior Canadian Rangers. The Commanding Officer (CO) is responsible for almost all aspects of a cadet squadron’s operations. They are the squadron’s liaison with the local sponsoring committee and they oversee all staff and cadets. A CO’s main responsibility is the safety and security of all cadets and staff. The Deputy Commander is the second in command to the Commanding Officer (CO). They are the shoes on the ground for the CO overseeing the day-to-day operations of the squadron. They act as the intermediary between the CO and officers in all matters that do not require the direct attention of the CO. The Training Officer is responsible for the development and implementation of the squadron’s training program. They also ensure appropriate resources are allocated to all training aspects of a squadron and endeavor to ensure all cadets have the best in-class experience. The Administration Officer is responsible for all the squadron’s back-end administrative operations. They maintain the office, the squadron’s Fortress database, and physical records. The Supply Officer is responsible for maintaining the squadron’s uniform kit and overall supplies. They obtain and record the kit issued out to cadets ensuring that they have the uniform parts they need to meet their training requirements. The Assistant Training Officer is responsible for carrying out the squadron’s weekly training plan. They liaise directly between the Training Officer and Instructors to ensure that training requirements are met. The Assistant Administration Officer works in close partnership with the Administration Officer to maintain all electronic and physical records of the squadron. They follow-up with cadets and staff on any outstanding administrative items. The Standards Officer is responsible for the maintenance and improvement of the squadron’s drill, dress, and deportment. They ensure that the squadron is meeting standard requirements in these areas as well as cadet evaluations according to the training plan. 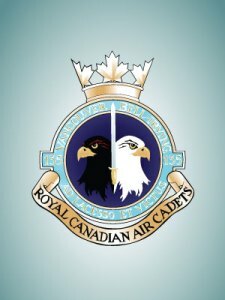 The Junior Cadet Coordinator is responsible for developing the the cadet acceleration program and coordinating the squadron’s recruitment events. They also support the Training Officer and Assistant Training Officer on cadet training initiatives. The Senior NCO Coordinator works in close partnership with the senior cadets of the squadron. They mentor and advise senior cadets in areas such as team building, leadership, and instruction. They are also a primary resource for cadets who are nearing the completion of their cadet career. The Flight Operations Officer has the responsibility of ensure that any cadets who are interested in pursuing a pilot scholarship get the training they need for success. They are also responsible for booking and overseeing all the squadron’s flight operations. The Assistant Supply Officer works in close partnership with the Supply Officer to ensure all cadets are fully kitted with uniform parts required to meet their training requirements. They also keep inventory of the squadron’s supplies.